Pete Townshend said he suffered a nervous breakdown when his planned follow-up to the rock opera Tommy, the ambitious, theatrical Lifehouse, fell apart. 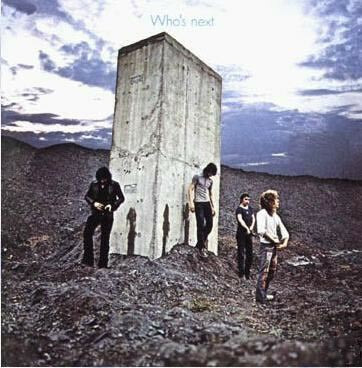 But he was left with an extraordinary cache of songs that the Who honed for what became their best studio album, Who's Next. "Won't Get Fooled Again," "Bargain" and "Baba O'Riley" (named in tribute to avant-garde composer Terry Riley and Townshend's spiritual guru Meher Baba) all beam with epic majesty, often spiked with synthesizers. "I like synthesizers," Townshend said, "because they bring into my hands things that aren't in my hands: the sound of the orchestra, French horns, strings… You press a switch and it plays it back at double speed."